Music icon, singer, songwriter, pianist and composer Elton John returns to Thailand this winter to celebrate 40 years since his top hit Rocket Man was launched. Elton John will grace the stage at the Impact Arena, Muang Thong Thani on December 13, with his one night only gig sponsored by the Singha Corporation. Forty years ago, in April 1972, Elton John released the single Rocket Man (I Think It’s Going To Be A Long Long Time) which went on to great chart success and received critical acclaim worldwide. The single entered the UK charts on April 22, reaching the number 2 position and staying on the chart for 13 weeks. In the USA the single entered the Billboard chart on May 6 and reached the number 6 position, staying in the US chart for 15 weeks. These were the highest positions achieved so far by an Elton John single in the UK and the USA. 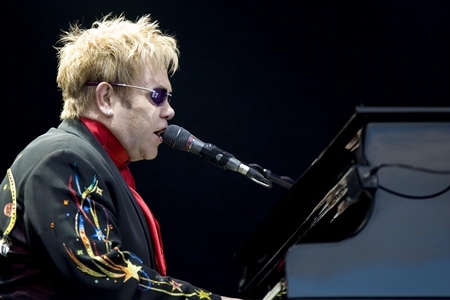 To celebrate the landmark 40th anniversary of its release, Sir Elton John is taking the celebrations globally for a world tour with Thailand as one of the stops. Elton John’s monumental career has spanned more than five decades. One of the top-selling solo artists of all time, Elton has 35 gold and 25 platinum albums under his belt as well as 29 consecutive US Top 40 hits. He has sold more than 250-million records worldwide and holds the record for the biggest selling single of all time, Candle in the Wind ’97, which sold over 37 million copies. Since his career began in 1969, Elton has played over 3,000 concerts worldwide.